Barack Obama was never known for being a particularly excited student. In high school — he wrote in his book — he spent quite a lot of time hanging out and smoking pot, leading to those famous portraits of him lighting up. Obama went on to Occidental College before transferring to Columbia University. He wasn't very happy at Columbia, he's often said. He wrote in letters to his then-girlfriend that he felt "feelings of isolation." In any case, this history of a generally displeased student makes this uncovered throwback photo completely unsurprising. Reddit user brokenwhale found a photo from their father's yearbook and posted it. The photo apparently shows young Obama "on strike" from homework. It is adorable. Obama is on the left and noted in the caption as "Barry." Aside from being generally cute, this photo should make us all feel better about how much we hated doing homework. 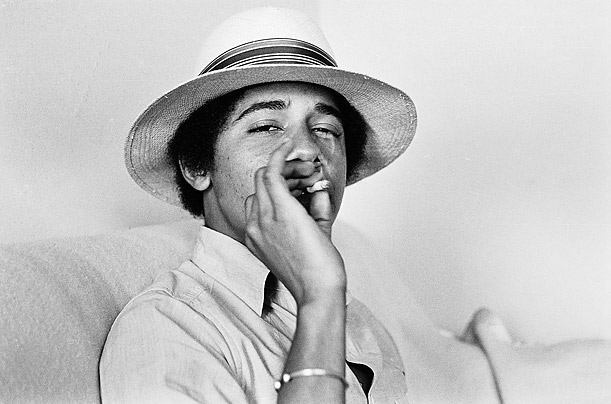 Obama's done a lot in his time as president, but probably his most important achievement was teaching us all that you can be a reluctant stoner student and still become president of the United States.